This shift to 17W is part of Intel’s larger emphasis on promoting the Macbook Air-like “ultrabook” form factor as the wave of the future. Intel has done a lot of engineering to produce the reference designs for these, engineering that it gives away to OEMs. The company is also doing a ton of ultrabook PR, which, again, is basically free advertising for its OEMs. All told, this adds up to a massive effort on the part of Intel to make the thinner ultrabook form-factor the new default for all PC laptops. Thicker laptops will still be out there, but they’ll be for users who want battery life above all else. I got some hands-on time with a few ultrabook models at IDF 2011 in September, and given that I was toting an 11? Macbook Air to the event, they did not impress. But if you’re used to a larger laptop, the ultrabook might get a rise out of you. Regardless, it’s great to see that notebooks are going to be slimming down across the board. The second important implication of the leaked slides—and this was not something that was pre-announced by Intel—is that the chipmaker is moving away from its deranged and irresponsible segmentation of chips by security and manageability features. In the past, features like vPro, virtualization, and trusted execution technology (TXT) have been offered selectively on different parts of Intel’s lineup, so that users who pay more get more security and more functionality, and users who pay less get less. But given that Intel has been claiming security as the company’s top priority for over a year now, the idea of selling some chips that are less secure than others is complete insanity. Every chip that Intel sells should fully support every one of Intel’s security and remote manageability features, period. Anything else is derelict, and puts the lie to the claim that the security of the entire PC ecosystem is truly important at Intel. What makes this worse is that this segmentation is totally artificial. These chips come off the production line supporting all of Intel’s features and extensions—it’s cheaper to manufacture them in bulk this way. Intel then blows sets of polysilicon fuses to shut down specific features in order to get the desired product segmentation. In other words, all of the chips come off the line supporting all of Intel’s security features, and then Intel cripples some of them so that it can sell the non-crippled ones for more money. Again, for a company that preaches so much about security, this practice is mind-bendingly irresponsible. 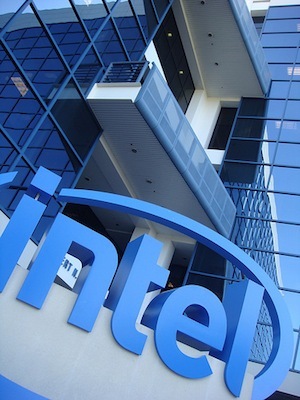 With Ivy Bridge’s mobile line, Intel appears to have seen the light, and is now offering all of its features and extensions across all of the mobile SKUs. Intel is now more sensibly segmenting the line by number of cores, number of threads, maximum CPU and GPU clockspeed, and L3 cache. This is what Intel should have been doing for the past five or six years, so we can be thankful that the company is finally walking the walk, instead of just talking the talk. On a final note, Ivy Bridge will be Intel’s first line of CPUs to be based on the company’s brand new tri-gate transistor. This shift to tri-gate will give Intel CPUs a large, one-off increase in performance and/or power efficiency, so ultrabooks based on Ivy Bridge should get a non-trivial boost in battery life. How big this boost is depends on the notebook, and on whether its designers opted to improve on the form factor by shrinking the battery or to keep the form factor and battery the same. Update: Anand got his hands on a different leaked roadmap late last week, and he’s showing some of the desktop Ivy Bridge SKUs as still lacking everything but AES-NI, which are Intel’s instructions for accelerating AES encryption. If Anand’s roadmap is accurate, we can keep despairing about Intel’s segmentation strategy. And yes, it’s true that TXT isn’t exactly mainstream, but the whole point of putting it on every chip would be to make it mainstream.